David Lanz (born June 28, 1950 in Seattle, Washington) is a Grammy-nominated New Age pianist. 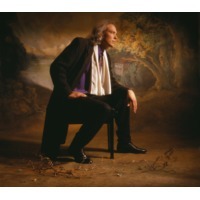 His most popular album, Cristofori's Dream, topped the New Age charts in 1988, which was No. 1 on Billboard's first adult alternative/New Age chart for 27 weeks and eventually sold platinum. Natural States peaked at No. 125 on the Billboard 200.